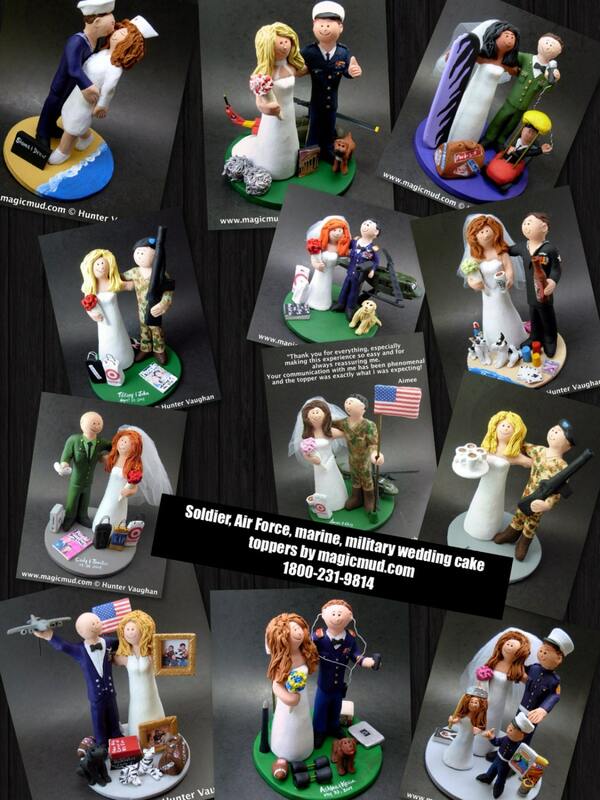 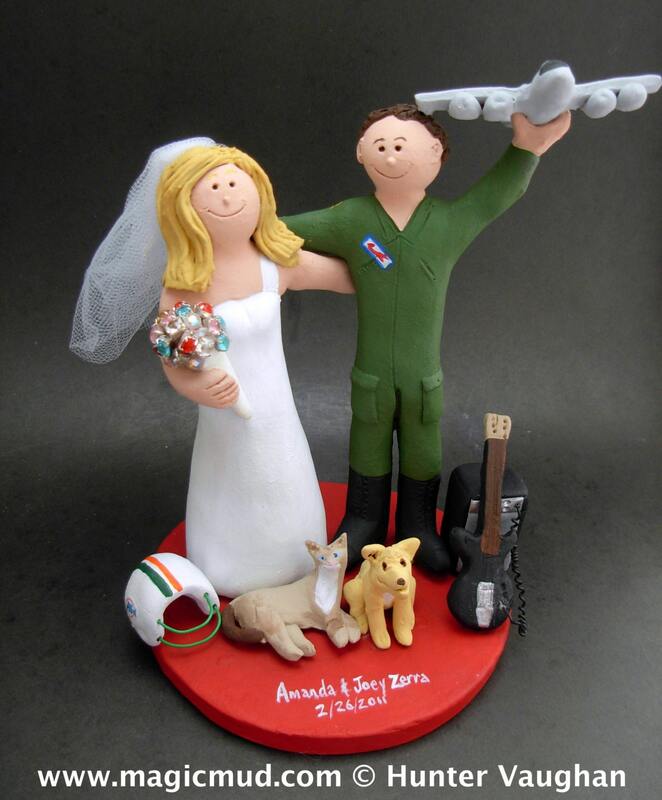 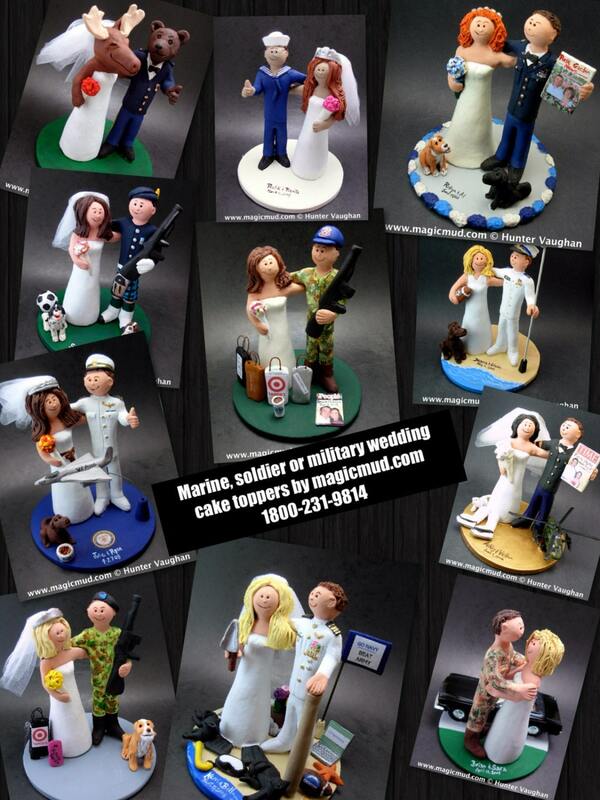 Army, Soldier's, Military, Air Force, Navy Wedding Cake Toppers custom created for you! 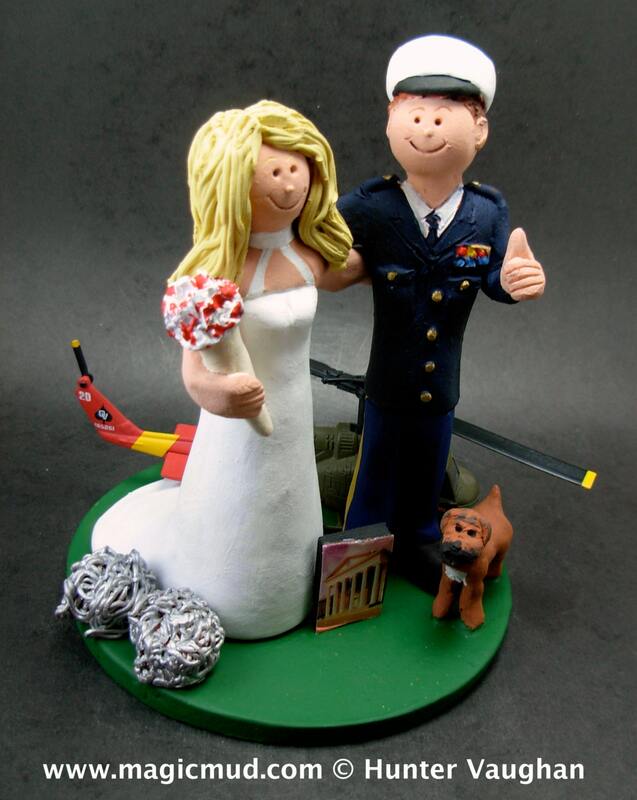 Perfect for the marriage of an Army Marine Groom and his Bride! 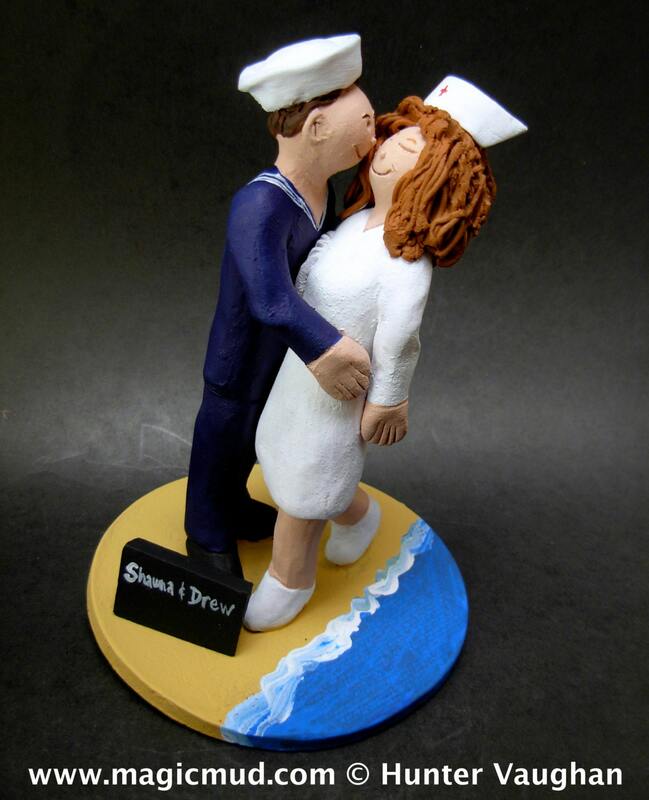 This photographed listing is but an example of what we will create for you....simply email or call toll free with your own info and pictures of yourselves, and we will sculpt for you a treasured memory from your wedding!